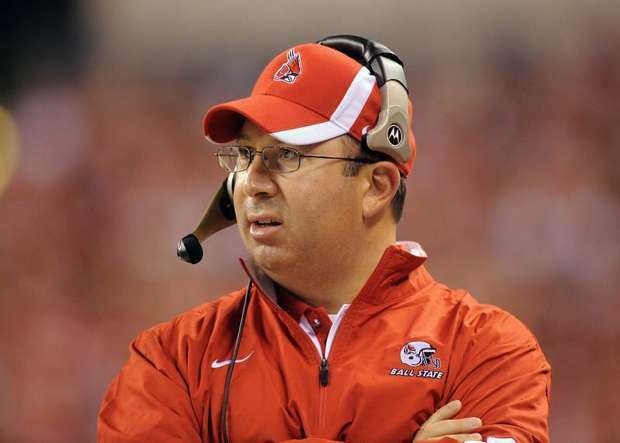 Ball State’s football team, under the direction of fourth-year head coach Pete Lembo, will begin its preseason camp with the first official practice Thursday at 7:15 p.m.
All of the Cardinals practices are open to the public and free of charge. Ball State will complete the preseason camp Sun., Aug. 17 and take Mon., Aug. 18 off for the first day of classes. The Cardinals play six games at Scheumann Stadium in 2014, including five on Saturdays. Ball State – the only team in the nation to increase its win total in each of the last four seasons – kicks off the 2014 campaign at 2 p.m. Aug. 30 versus Colgate. Season tickets are now on sale and prices begin at less than $8 per game. Visit BallStateSports.com/Tickets for more pricing plans. The complete preseason practice schedule is below, and subject to change. Call the football office at 765.285.8251 for updates as the practices progress. So get yourself ready for practice and also Paint the Town Red and Fan Jam. Football is right around the corner. Yipee!